I can’t sleep. The problem is, I’m inspired. 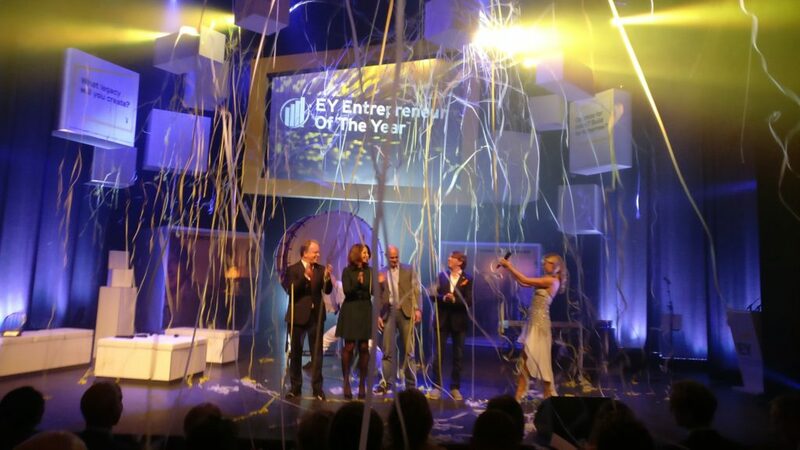 Today is the highlight of the Dutch celebration of entrepreneurship, the EY Entrepreneur of the Year award ceremony. It’s not the company that gets the award it’s the entrepreneur behind the company that is celebrated. And this year’s celebration was different. The highlight of the evening are the many stories of the entrepreneurs that have been told on stage. The personal motivation, the passion that enables them to keep going. 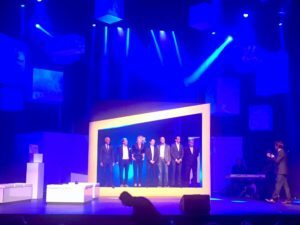 Well respected entrepreneurs share their story ranging from Dutch unicorn Adyen founder Pieter van der Does to world family business award winner Jan-Renier Swinkels of Bavaria. Fabienne Chapot, one of the finalists, really appealed to the public by radiating the confidence that with a bit of courage you can be an entrepreneur and start your own company or be entrepreneurial within your department. She wholeheartedly supports female entrepreneurship and is a great example herself. Although all finalists have a growing running business the balance for strategy and execution is exactly the same as for startups. Finalist Biense Visser quoted one of his mentors to highlight this fact: “It’s better to have the strategy 80% right and 100% executed than the other way around”. So true. The common denominator however is that all entrepreneurs have a great vision for their company that they believe in with every fibre of their being. Pieter Zwart appealed to me with his vision. Coolblue is not a family business but a friends business. It’s embedded in everything he says and the way he speaks about his co-founders and employees. But above all he radiates one thing, his personal motto and the company motto: “everything for a smile”. With this there is a clear customer focus and priority. Key in the success of companies that leave a legacy. Therefore a well deserved winner of the Dutch Entrepreneur of the Year award. There was one more common denominator amongst the seven finalist. They were all endearing on stage, a tad uncomfortable with the attention they got as a person, knowing it is the team effort that got them there in the first place. The grand finale of the evening was an impressive musical tribute to entrepreneurship. The celebration these entrepreneurs deserve. An inspiring show but above all inspiring entrepreneurial stories straight from the heart that keep me awake, thinking about how I can be a bit more entrepreneurial and inspire those around me to do so as well.